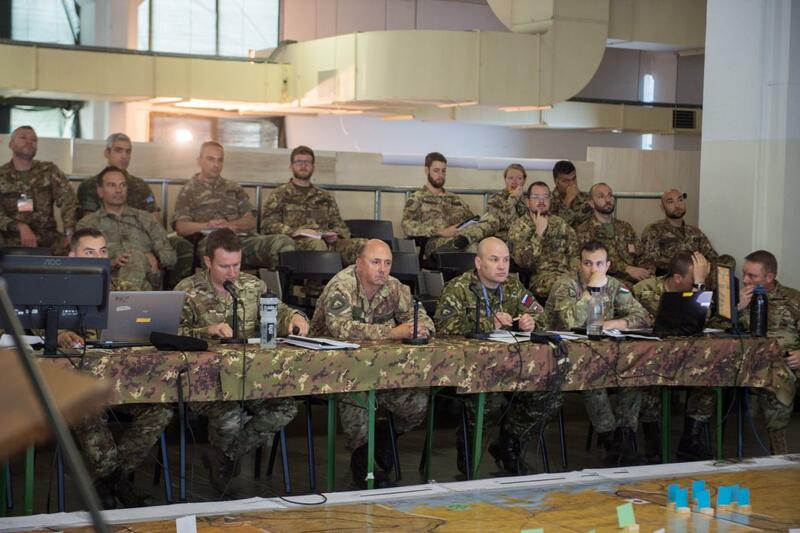 The first phase of the EAGLE GHOST 2018 exercise has just begun, aimed at maintaining skills and capabilities required by the Alliance for headquarters in charge of the NATO Response Force. 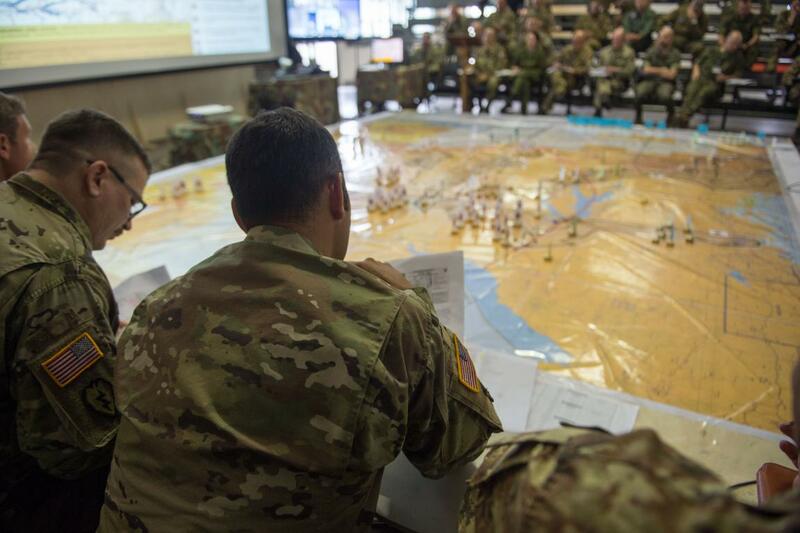 Eagle Ghost 18 is a Command Post Exercise developed on a non-article 5 scenario and is aimed at fine-tune procedures of collaborative planning among NRDC-ITA HQ, subordinate and affiliated units to produce and refine orders. Planners and Staff Officers are currently facing the Crisis Response Planning (CRP), which represents the starting point of a military operation, and consists on a thorough analysis of every aspect of a crisis down the smallest details. About 120 military officers of the NRDC-ITA along with those coming from the Florence based “Friuli” Division and the “Aqui” Division from Naples, as well as the 2nd Greek Mechanized Infantry Division “Elasson” will be working side by side. 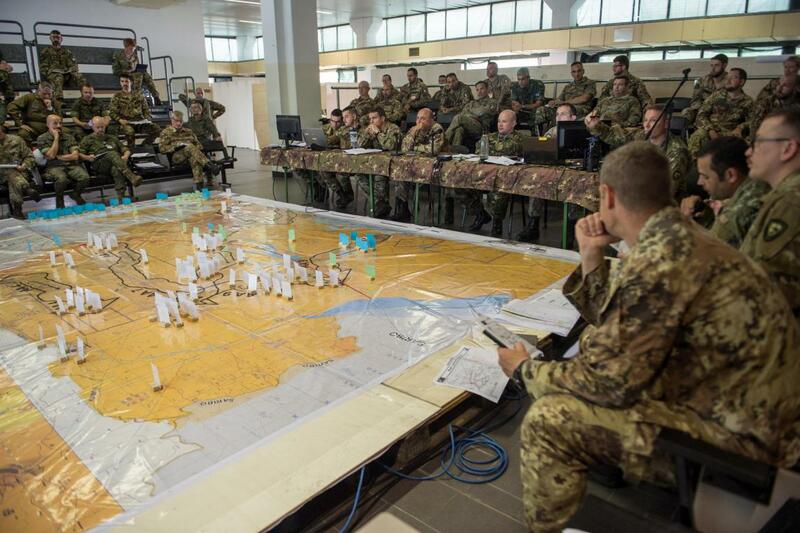 Recently certified as Combat Ready for the role of Land Component Command (LCC) of the NATO Response Force 2018 (NRF18), NRDC-ITA has developed a solid experience adapting its structure to different roles (such as Corps, Joint Task Force and LCC) and getting ready for additional responsibilities, a well-recognized experience nowadays at NATO and Italian Defence disposal. NRDC-ITA will be in charge for the entire 2018 so retaining the coordinating authority over the Land Component of the NATO Response Force in case of deployment. The NRF is a high-readiness Joint multinational force, made up of Land, Maritime, Air, Special Forces and Logistic Support components with personnel and vehicles supplied on rotation base by member countries, to enable the Alliance to face immediately to the wide range of security challenges, from collective defense to crisis management.